Reviews of restaurants in Cannes. As rue Saint Antoine winds its way up to Le Suquet hill overlooking Cannes, there are a number of shops and restaurants set up to tempt the tourists into stopping. 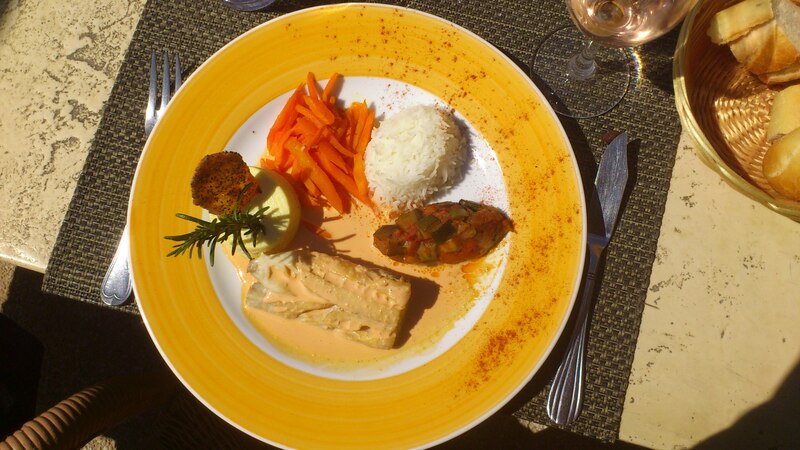 You can bypass many of them but don’t miss Le Relais des Semailles if you have any interest whatsoever in fine dining. 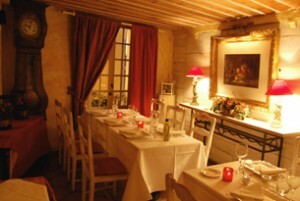 The decor is cozy and traditional, perfect for a romantic dinner or a tete a tete among friends. Chef Bertrand Saint-Vannes marries fresh, local products with traditional classic preparation and the result is splendid. The soupe de poisson drew raves from around the table. Asparagus is in season now and was delightfully presented with truffle sauce and a poached egg. Yum. My main course was a free-range chicken with creamy polenta on the side. The light sauce gave the tender chicken a pleasing zing. The dessert was OK; fresh stawberries sat on a crumbly nutty cake with a slice of chocolate on the side. I very much appreciated the amuse-bouche at the beginning of the meal and the freshly-baked bread on the side. The lunch menu is €34. A bargain! Read more about Cannes restaurants. Sleek and modern, L’Affable is one of the better mid-range Cannes restaurants. The subtle lighting, modern art and gleaming tableware provide a perfect setting for a business lunch or friendly diner a deux. Chef Jean-Paul Battaglia applies a light touch to his preparations. Nothing is too terribly rich or too terribly spicy. He prefers fish and seafood over meat and does wonderful things with vegetables. I began with a Ceviche garniture mimosa, raw fish with a sprinkling of herbs on the side. The fish was sea-fresh but could have used a little something extra to highlight the flavours. The main course was a perfect dorade served over pureed potatoes married with a light and subtle sauce. But the highlight was an incredible Grand Marnier souffle at the end, a real tour de force, neither too sweet nor too rich (see photo). The meal was excellent value for money, priced at €38. See the website or more on Cannes restaurants.